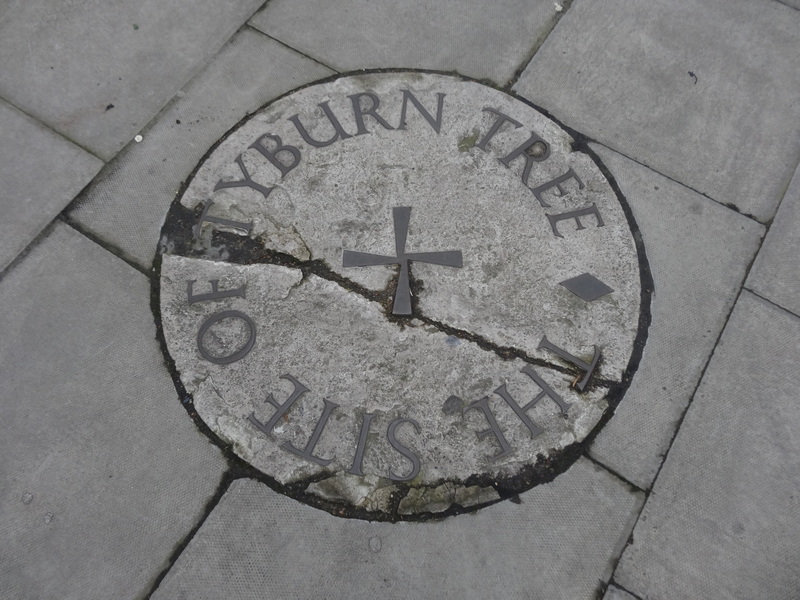 The restoration of the Tyburn Stone plaque took place during the summer of 2014, 50 years on from its original installation and dedication. Edgware Road Partnership (the forerunner of Marble Arch BID) commissioned DBR (London) stone masons to undertake this delicate job, working closely with the Tyburn Convent and City of Westminster. Transport for London surrounded the repaired stone with three oak trees, bringing new life to the base of one of the UK’s most important Roman roads. 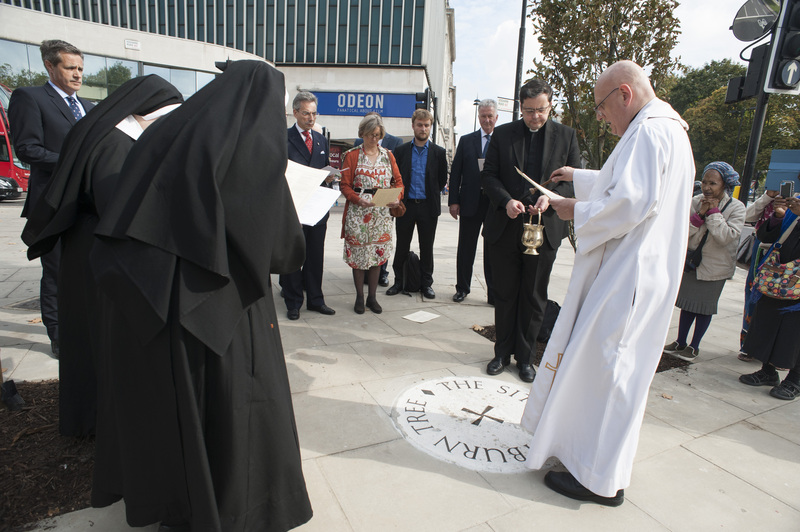 An event to dedicate the stone and celebrate the improvement of this historic major intersection of Edgware Road and Marble Arch was held on 2 October 2014. Representatives from Edgware Road Partnership, Tyburn Convent, Westminster City Council and Transport for London gathered with children from Hampden Gurney Primary School to witness the rededication of the stone. An eye witness to the original dedication on Tuesday 29 September 1964 records that the stone is “well executed” with “beautiful bronze lettering”. The same eye witness, architect and town planner, Arthur Kenyon, reminds us “to be grateful for this further piece of custodianship making a place of history for us”. 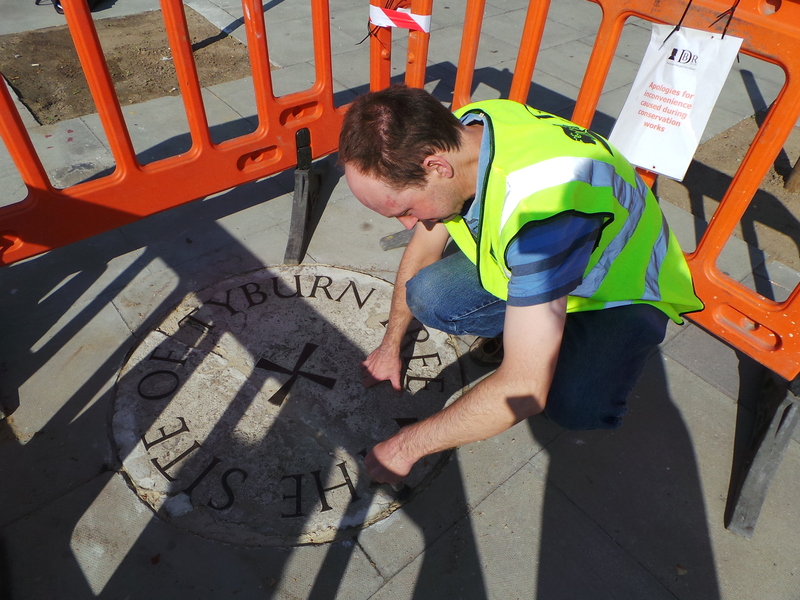 The Restoration of the Tyburn Stone plaque on 2 October 2014 coincided with National Poetry Day. 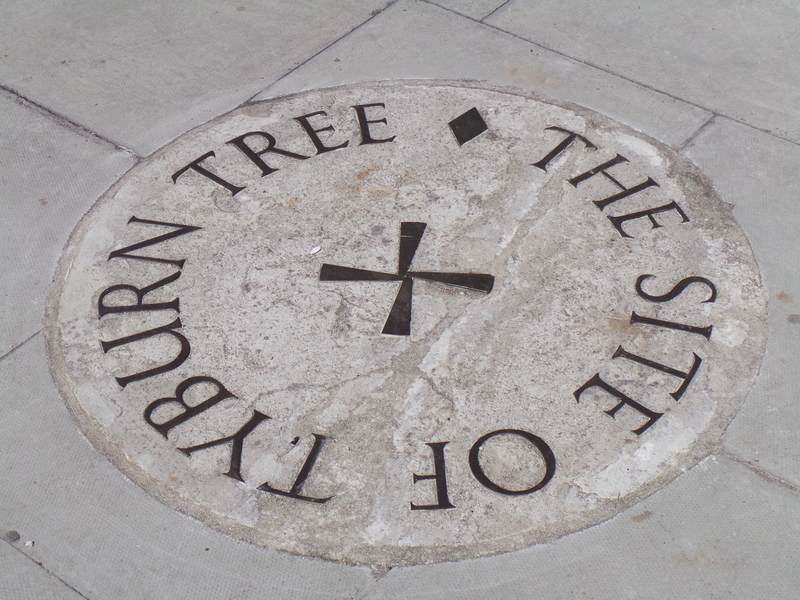 Once the stone had been rededicated and blessed, nearby Tyburn Convent hosted an event where pupils from Hampden Gurney Primary School treated guests to specially written Tyburn format poems. Find out more about these here.